Women in Management (WIM) in partnership with the International Finance Corporation (IFC) a member of the World Bank Group selected Marise Deckker as the Gold Award recipient for the Best Woman Corporate Leader of the Year at the ‘Top 50 Professional & Career Awards’ Ceremony 2018. Deckker is the Chairperson/Managing Director of Astron Ltd. – the leading pharmaceutical developer, manufacturer, marketer and exporter in Sri Lanka. 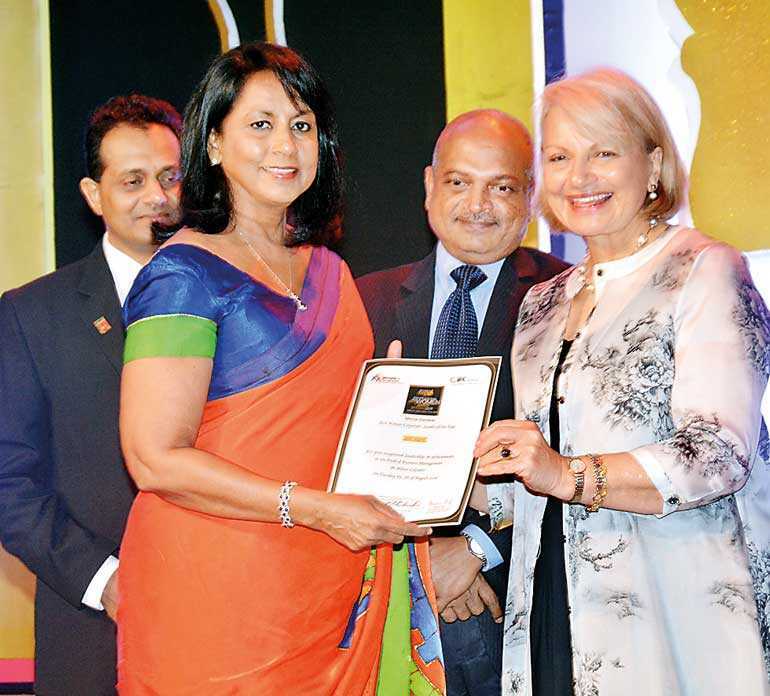 The prestigious Awards Ceremony was held on 7 August at the Hilton Colombo, and was attended by members of parliament, diplomats, professionals and business leaders. Speaker of Parliament Karu Jayasuriya graced the occasion as the Chief Guest. The WIM Awards highlight and honour women in the national and regional economy and celebrate their achievements, experience and creativity in institutions, professions and businesses. Deckker was recognised by WIM for her leadership of the Company over the last 25 years. She is a Chartered Accountant by profession and holds a Diploma in Business and Financial Administration from the Institute of Chartered Accountants. She also has a MBA from the Postgraduate Institute of Management, University of Sri Jayewardenepura. The Company was incorporated 62 years ago in 1956, setting up the first pharmaceutical manufacturing facility in Sri Lanka. Pfizer Inc. NY held the majority shareholding until 1993, when it divested its shares in the Company. Deckker spearheaded the first management buyout in Sri Lanka in 1993 and the name of the Company was changed to Astron Ltd.
Astron Ltd. today develops, manufactures, markets and exports a wide range of pharmaceutical, nutritional supplements, animal health and herbal products. Astron is a market leader in manufactured healthcare products in Sri Lanka.